Volunteer Rachel Cramer feeling the love! 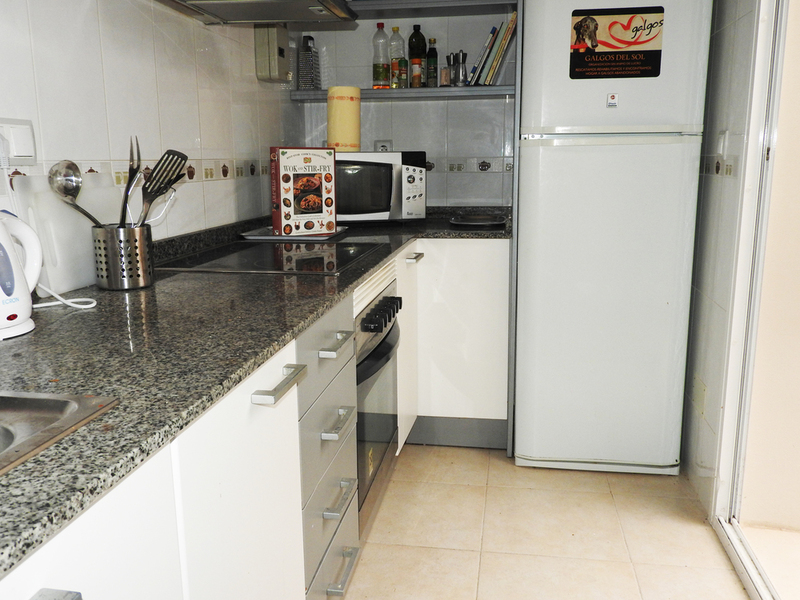 We offer a residence in San Cayetano, Murcia that sleeps three people (one room with twins and one with a double bed) that has a full kitchen, living area, bathroom, sun parlor and garden. The residence is a two-minute walk from an urbanisation bar, swimming pool, paddle tennis and a five-minute walk from an old Spanish village which includes several bars and cafes both English and Spanish, a Spanish panaderia (typical bakery), pharmacy and a small supermarket. It is a five-minute drive from the local beach situated on the famous Mar Menor. Depending on the time of year there are beach bars with a lovely atmosphere to enjoy an evening meal. The residence is just a few minutes drive from the Centre. As much as we would love to host everyone and everything for free, sadly it’s just not possible as commensurate costs are incurred. PLEASE NOTE: Due to the high volume of applications, solo volunteers or parties of two will likely share the residence with other volunteers. • transportation/pickups/drop-offs to and from airports or train stations to residence and the Centre. Directions will be provided. Car rentals available at airports. Daily contract with local cab driver available. Having a volunteer program costs us time and money. Time in terms of the demands on us to oversee and supervise volunteers and the increased utilities costs. We will do our best to ensure that our volunteers experience the full spectrum of GDS life! There is always plenty of the unexpected at GDS — we start out the day with good intentions to accomplish specific things but the next thing you know, we hear of a galgo sighting and everything changes! But first and foremost — it is always about what is best for the dogs!!! A white board is updated daily with each volunteer's responsibilities. • 9 am — duties include: cleaning, feeding, walking the dogs, playing with the dogs, and vet runs with the staff. • 3ish pm — back to work! GDS is located in San Cayetano, Murcia in southern Spain. The 2019 Volunteer Calendar is Open for Applications. Please fill out and submit the following form. We will email with our response and if approved, we will include information about what is useful to bring as well as a contract for signature outlining the rules, deposit due, payments and our expectations for volunteers. The program is seven days but a longer stay will be considered upon application review. PLEASE NOTE: ALL members of a proposed party must complete an application and note names in the below form. D. Have you volunteered with any other dog or animal rescue? G. What is your profession? H. Do you have any skills that might be beneficial to GDS? First choice of day and month to arrive. Thank you! We will do our best to reply promptly but it may take several days. Please be patient — we are all volunteers. The Rochester FIVE Volunteer at GDS! Come and volunteer at Galgos del Sol!